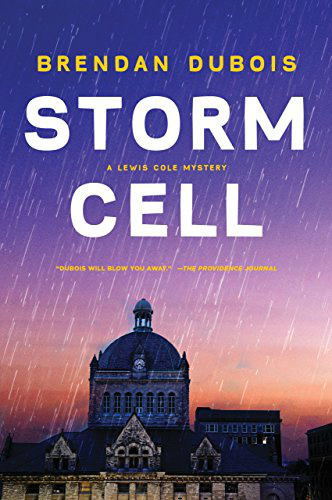 Book number 10 in the Lewis Cole mystery series! As the book opens, Lewis Cole is a recently unemployed journalist who is attending the murder trial of his friend, Felix Tinos. Cole has returned to his home at Tyler Beach, NH. Due to the efforts of his friends, his home has been rebuilt following a destructive fire. Moore has been in trouble before, and has a reputation of being a man who pushes the line between what is legal and what is not. He is usually represented by Boston lawyer Raymond Drake, but he is inexplicably absent. His current lawyer, Hollis Spinelli, seems unconcerned about getting his client released. When Cole questions Hollis’ handling of the case; he finds himself threatened by a tough young man who threatens to burn his house down again. Two mysterious FBI Agents approach Cole, stating that he needs to keep Felix out of prison—or else! The action moves smoothly and the various twists and turns show the difference between what seems to have happened and the truth of the matter. I liked the story a lot! I give the book four stars!